Close your laptop and open your soul with after work jams from seasoned Bay Area musicians. Curated by People in Plazas. 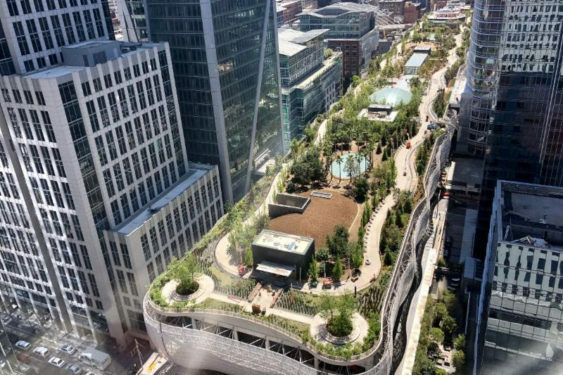 Go to the “Central Plaza” at Salesforce Park, on the rooftop level of the Salesforce Transit Center. Look for directional signage. The transit center is bordered by 2nd street to the west, Beale street to the east, Minna street to the north, and Natoma street to the south. 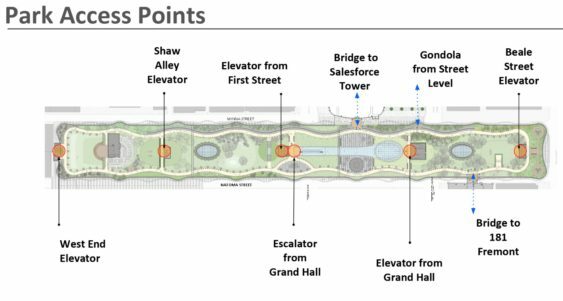 Eventually (hopefully in September) you can take the Gondola to the park, but initially, you’ll need to take escalators and elevators from inside the Transit Center. The best entrance is the Grand Hall at 425 Mission St. at Fremont which will have escalators to take you up to the bus deck and park. The Central Plaza is the hardscape (glass and stone floor) section in the middle of the transit center, adjacent to the Salesforce Tower bridge. The easiest way to access it by elevator is via the elevators on the south side of 1st St. The easiest way to access it by escalator is from the Grand Hall. Those escalators touch down on the Bus Deck, and if the visitors walk forward to the next group of escalators, those will take them to the Park. Visitors can also access via the Salesforce Tower bridge. They need to take the public elevators, accessed from a lobby on northeast corner of Salesforce Tower (at the corner of the Tower closest to Salesforce Plaza and the Salesforce Transit Center).